Welcome to Historic Fort Phantom Hill! Rustic Romance and a Hint of Mystery. 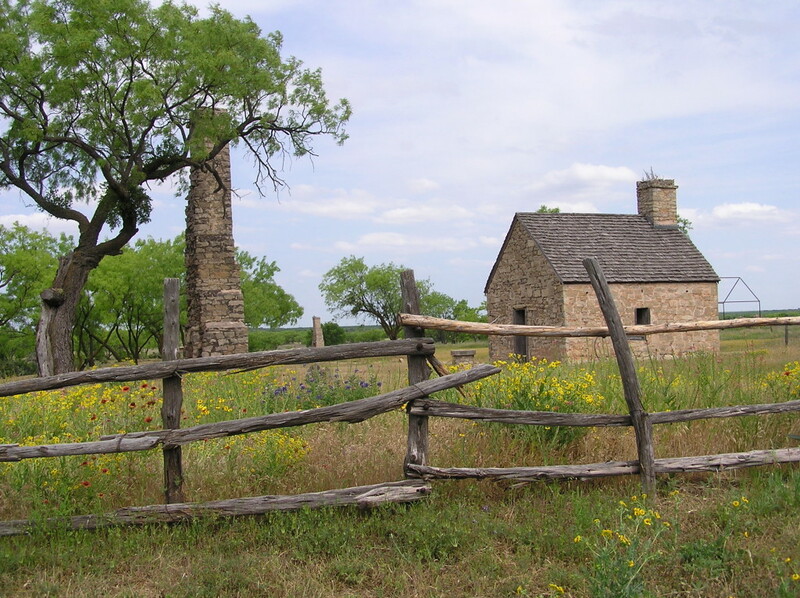 Located in present-day Jones County, Fort Phantom Hill is one of the most pristine historic sites in Texas. It was one of the second line of forts laid out in the early 1850’s to protect the westward-moving frontier of Texas settlement. Today, Fort Phantom Hill is part of the Texas Forts Trail, a 650-mile highway tour of historic Texas forts in West Central Texas. Originally known as the “Post on the Clear Fork of the Brazos,” the fort was occupied by the U.S. Army from 1851 until 1854. Shortly after the army abandoned Fort Phantom Hill, fire destroyed most of the log walls and thatched roofs of the post’s buildings. However, much remains of the old fort for visitors to explore, inspect and study, including three original stone buildings (an intact stone powder magazine, a stone guardhouse and an almost-intact commissary or warehouse), more than a dozen stone chimneys, and stone foundations from the original fort. Ronnie takes Fernando & Jacob to explore the Fort on a cool, West Texas windy day! The Grandboys (Tate, Ethan & Connor) stop just long enough to take a picture for Grandmom and Grandpa while visiting the Fort. A Great Place for Unique Photos! Howdy! Mosey on over to the Frontier Texas Museum.